While the laws of physics set limits on what is possible, our universe could have evolved in different ways. Or could it? 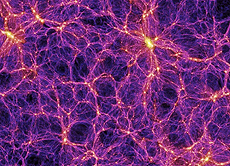 Studying the Cosmic Frontier teaches us about the history of the cosmos. Combined with information gained at particle accelerators, we can try to find out if the basic structure of our universe was inevitable. Perhaps that is one of those “duh!” questions. After all, humans have wondered about the cosmos for all of recorded history and no doubt long before writing was invented. But there is a modern component to this query. 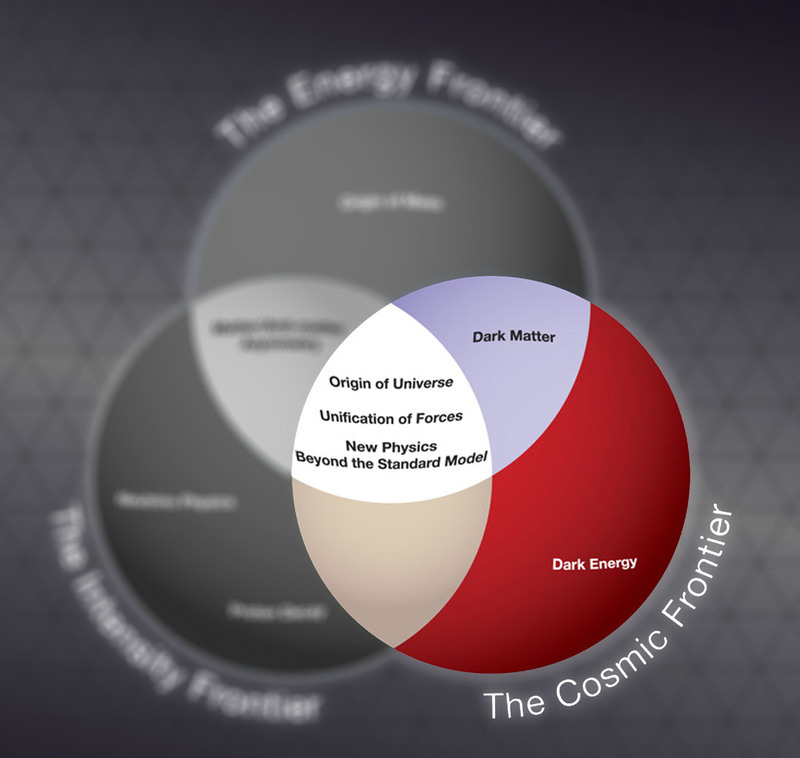 One of the longest-asked questions is “How did the universe come into existence?” In previous Nutshells, we discussed the Energy Frontier, in which we try to reproduce the conditions of the early universe, and the Intensity Frontier, in which we search for rare phenomena to better understand all of the physical phenomena that went into forming the cosmos in which we live. However those studies tell us what is physically possible. Just because something can happen, doesn’t mean that it did happen. You might have taken today off and gone to the beach, but you probably didn’t. Similarly, the history of the universe unfolded in a particular way. It’s only by studying our universe that we can combine the physics of the possible discovered in particle physics labs with the story we see recorded literally in the stars. And it’s only by studying the cosmos that we can understand how our universe evolved from the high-temperature conditions created in our accelerators to the familiar conditions we see today. Because the speed of light is finite, light from distant objects takes a while to get here. The farther away an object is, the longer it takes for light to travel to us. Thus by looking farther and farther away, we are able to see earlier and earlier in the history of the cosmos and literally watch it age. In addition, much of the later history of the universe (meaning after a millionth of a second or so) is heavily affected by the force of gravity. Gravity can reach across the light-years and assemble huge galaxies, majestic pinwheels in the sky, but it played no role in the very early universe, as the force was and is too weak to compete with the other known subatomic forces. (Ironically, it is possible that at very early times – far earlier than the conditions we can create in our accelerators – that gravity was perhaps the first force to dominate.) To understand how gravity shaped our later universe, we need to study the heavens. Other mysteries that studies of the sky can illuminate are the questions of dark matter and dark energy. 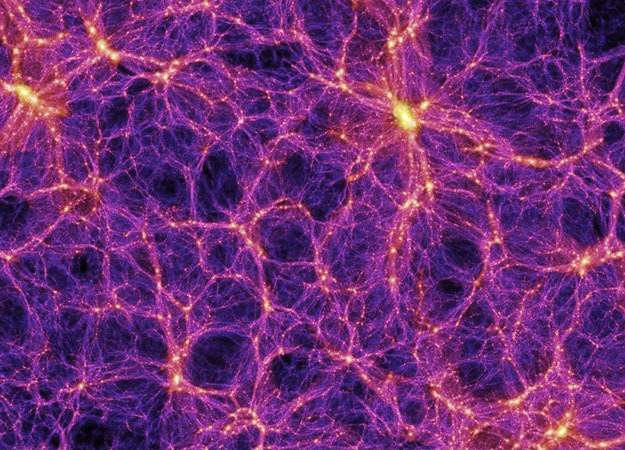 While it might be possible that we can create dark matter in our accelerators, there is no guarantee that what we create is the same thing as the dark matter that makes galaxies spin inexplicably fast. It’s going to take cosmological searches to answer that important question. To understand our universe requires that we employ every tool available to us. Studying the cosmic frontier is one such tool. Combined with input from the Energy and Intensity Frontiers, we may finally begin to understand the crucible of creation in which our universe was forged.